A growing collection of thrush bird drawings. These copyright free bird images are free for downloading and adding to your next creative project. 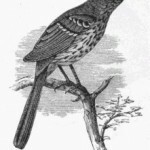 Drawing of a singing thrush bird. 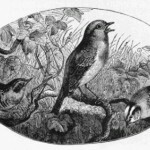 Vintage black and white bird drawing of a brown thrush. 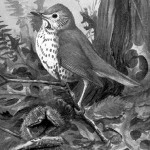 Beautiful black and white version of a wood thrush painting.